The Klaas Stainless Steel mixer is a popular timeless design. With the black PVD finish that's wear-resistant, it is longer lasting and even more attractive. The full swivel goose-neck spout and a simple pencil lever handle are a minimalist choice. 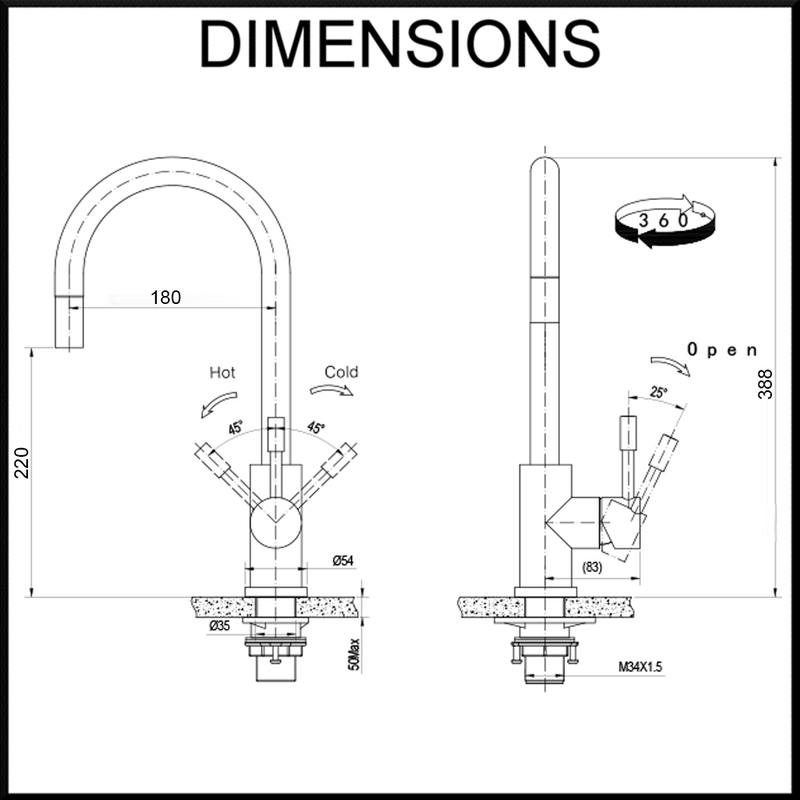 So discreet you will not know it's there, the pullout hose can be used to wash out the far corners of your sink and it will self-retract automatically. All the components are made from leading solid sanitary grade stainless steel. The mixer has a superior 35mm ceramic mixer cartridge for reliable linear control over water temperature and flow, Swiss Neoperl® aerator for a perfect water stream, Tucai® input hoses, and a Kottmann® anti-fray nylon pull-out hose. Enjoy a full 15-year warranty with this mixer tap. The Klass Kitchen Mixer exudes simplicity with its flawless minimalistic design. The perfect goose-neck design and classic pencil handle make this a timeless piece for any kitchen. The pull-out nozzle allows you to simply direct your water stream to where it is needed, then it slips neatly back into place. The elegant black PVD finish makes it a good choice for an instant kitchen interior upgrade. This is not just a highly practical kitchen tap - it is a piece of art. The SWEDIA® Klaas kitchen sink mixer provides a modern centrepiece to your kitchen. Its rounded gooseneck profile enhances its curved edges making it a complementary addition to most home decors. A very popular choice for butler's pantries and outdoor kitchens too with its full swivel spout and full reliability. Click on the icon to download the instruction manual (PDF) for these products.